Michael Bane is the host of several popular television shows aired on the Outdoor Channel. 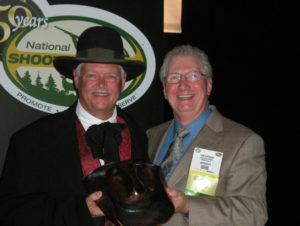 Tom Gresham (r) presented Bane with the award at the 2011 SHOT Show State of the Industry Dinner. Michael Bane was humbled to the point of speechlessness … impossible … but close.  The Professional Outdoor Media Association (POMA) and the National Shooting Sports Foundation (NSSF) honored veteran journalist Bane with the prestigious POMA/NSSF Grits Gresham Shooting Sports Communicator Award during the Shooting Hunting Outdoor Trade (SHOT) Show State of the Industry dinner. Tom Gresham presented the award. When informed he’d be honored, Bane’s usual edgy barrage of commentary was stilled, for a few moments. “I’m honored, almost to the point of speechlessness, which is abnormal for me,” Bane admitted. “Within my field, the field of media, this is the preeminent award. Selection means you have the respect of your peers, and that means so much to me. Bane’s biography reads like an adventure novel. His escapades climbing big mountains, scuba diving flooded cave systems and kayaking spectacular rivers around the world have been chronicled in such magazines as National Geographic Adventure, Men’s Journal, Men’s Fitness and hundreds of others. Additionally, he’s authored 21 books, including Over The Edge: A Regular Guy’s Odyssey In Extreme Sports. However, it’s Bane’s moniker as a shooter and his multi-media vision and expertise that found him center stage and being honored as the 2011 Grits Gresham Shooting Sports Communicator. 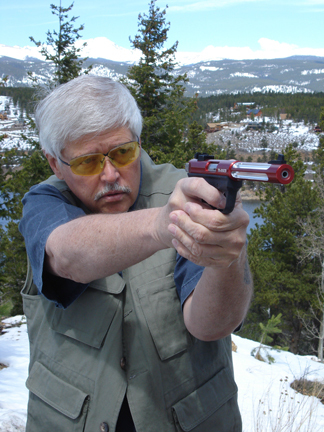 “Michael has been a pioneer in firearms multimedia for years. From magazine articles, books and television shows to podcasts, online videos and a daily blog, he is a leader when covering competition, self-defense with firearms, gun news, and always strongly supporting gun rights,” Tom Gresham said. “As a television show, website and podcast host, blogger and exceptional writer, Michael embodies the new breed of media professional who is adept at using all the tools at his disposal to reach gun owners, shooters and hunters with news they need to know,” added NSSF President and CEO Steve Sanetti. Nominations for the Grits Gresham Shooting Sports Communicator Award come from all corners of the shooting sports industry. Affiliation with a communications or industry organization is not required. 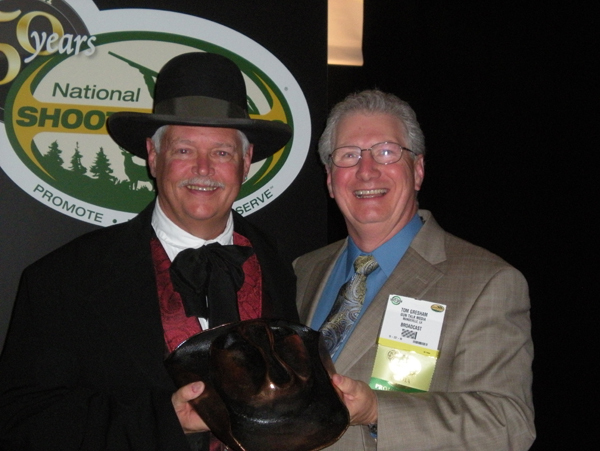 Shooting sports industry professionals are encouraged to make nominations through the POMA website.